Size of the INDUSTRY 88 scheduled commercial banks (SCBs) - 28 public sector banks, 29 private banks and 31 foreign banks. Indian Banking Industry originated in the first decade of 18th century as The General Bank of India came into existence in the year 1786. And then later Bank of Hindustan was started. The India's oldest bank which is in existence is the State Bank of India being established as "The Bank of Bengal" in Calcutta in June in the year 1806. A couple of decades later in the year 1850 the foreign banks like Credit Lyonnais started their operations in Calcutta. Calcutta was the most active trading port at that time which was during the British Empire, due to these reasons the banking activity took roots there and prospered. In the year 1865, the first fully Indian owned bank was established in Allahabad. Punjab National Bank was established expanding the markets by the 1900s, Bank of India the year in 1895 in Lahore and the same Bank of India 1906, in Mumbai - both were founded under private ownership. Then later in the year 1935, the Reserve Bank of India formally took over the responsibility of regulating Indian banking sector. 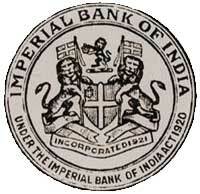 In the year 1947, after India's independence the Reserve Bank was nationalized and given more powers. The Indian Banking Industry in 1960 became an important tool to facilitate the financial development of the Indian economy. Simultaneously it emerged as a large employer and debate prevailed that ensured about the possibility of nationalization of the banking industry. The then Prime Minister of India, Indira Gandhi expressed the intention of the GOI in the annual conference of the All India Congress Meeting. This was received with positive enthusiasm by the whole nation. Later the GOI was issued an ordinance and nationalized the 14 largest commercial banks with effect from the midnight of July 19, 1969. In 1980 for the second time nationalisation of 6 more commercial banks was done. The nationalization was done to give the government more control of credit delivery. With this the GOI controlled around 91% of the banking business of India. Narasimha Rao government formulated a policy of liberalization in the year 1990 and gave licenses to a small number of private banks, which was known as the New Generation tech-savvy banks, some of the banks were like the UTI Bank(now re-named as Axis Bank) ,ICICI Bank and HDFC Bank. Liberalization along with the rapid growth in the economy of India boosted the banking sector in India, which has seen strong contribution from all the three sectors of banks, namely, government banks, private banks and foreign banks. The next stage for the Indian Banking Industry was to setup with the proposed relaxation in the norms for Foreign Direct Investment, where voting rights were given to all the Foreign Investors in banks which could exceed the present cap of 10%, at present it has gone up to 49% with some restrictions. Indian Banking Industry was completely shooked with the new policy. Till this time the Bankers used to the follow the 4-6-4 method (Borrow at 4%; Lend at 6%; Go home at 4) of functioning. This new wave ushered in a modern outlook and tech-savvy methods of working for traditional banks which led to the retail boom in India. People not only just demanded more from their banks but also received more. Today Banking in India is generally fair and mature in terms of supply, product range and reach though in rural India still remains a challenge for the private sector and foreign banks. Banking in terms of quality of assets and capital adequacy, banks in India are considered to have clean, strong and transparent balance sheets relative to other banks in comparable other economies. The Reserve Bank of India is the autonomous body, with has the minimal pressure from the government. The Reserve Bank of India had permitted Warburg Pincus to increase its stake in Kotak Mahindra Bank (a private sector bank) to 10% in March 2006. 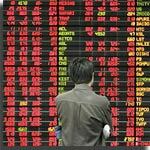 It is the first time an investor has been allowed to hold more than 5% in a private sector ban. As the RBI announced norms in 2005 that any stake exceeding 5% in the private sector banks. Indian Banking Industry's growth has been more qualitative than quantitative which is expected to remain the same for the coming years. 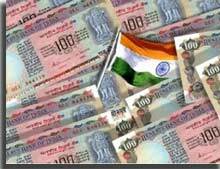 The projections of "India Vision 2020" prepared by the Planning Commission, also the Draft 10th Plan, the report forecasts that the pace of expansion in the balance-sheets of banks would be decelerating. 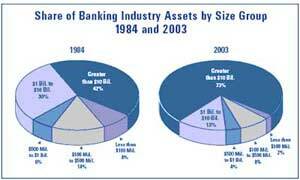 By the end of March 2010 the total assets of all scheduled commercial bank was estimated at Rs 40,90,000 crores. Which constitutes of about 65 % of GDP at current market prices as compared to 67 %in 2002-03. Banks assets were also expected to grow at an annual composite rate of 13.4 % during the rest of the year against the growth rate of 16.7 % that was between 1994-95 and 2002-03. Indian banks have been regarded and included in the Brand Finance® Global Banking 500In the annual international ranking conducted by UK-based Brand Finance Plc, 20. Further as per the Brand Finance Study the State Bank of India (SBI) has become the first Indian bank to be ranked among the Top 50 banks in the world, capturing 36th rank. Through which the brand value of SBI in 2010 increased from US$ 1.5 billion in 2009 to US$ 4.6 billion. Another bank which made it to the Top 100 list with a brand value of US$ 2.2 billion is ICICI. The total brand value stood at US$ 13 Billion of the 20 Indian banks featured in the list. The nationalized banks hold the highest share of 50.5 % in the total bank credit with SBI according to the gross bank credit which associates at 23.7 % and other scheduled commercial banks at 17.8 %. Foreign banks and regional rural banks have a share of 5.5 % and 2.5 % respectively in the total bank credit.The report also constitutes that scheduled commercial banks served 34,709 banked centers out of which 28,095 were single office centers and 64 centers had 100 or more bank offices. Presently India has 88 scheduled commercial banks (SCBs) - 28 public sector banks, 29 private banks and 31 foreign banks. These banks have a combined network of over 53,000 branches and 17,000 ATMs. According to a report of the Rating Agency ICRA Limited the public sector banks hold over 75% of total assets of the banking industry, with the private and foreign banks holding 18.2% and 6.5% respectively. The major players in the Indian banking industry are the Bank of Baroda, State Bank of India, Canara Bank, Punjab National Bank, HDFC Bank, ICICI Bank, Kotak Mahindra Bank, Citibank, Standard Chartered Bank, HSBC Bank, ABN AMRO Bank, American Express, etc. Banking Industry in India is one of the most sought after career choice among the students. It is a career which is well paid, secure and has good status. Though it might appear that these jobs are meant for the student of commerce/economics but the fact is that majority of bank officers are from different streams of education. Further it also a fact that top positions in Foreign/Multinational Banks are held by MBA's from Premier Management Institutes. Today Public sector Banks are now appointing management graduates, CAs and CFAs but bright graduates from any subject can get entry in the Public sector Banks through an All India Examination conducted by them. Openings in Banks are available at various levels, from Clerical to Probationary Officers (PO). The opportunities have great job security and along with good salary, besides the perquisites of loans for employees. It is a lucrative career where careers exist not only in nationalized banks, but even with liberalization, a host of private banks have been set up for the opportunities. A report of RNCONS by a market research company called "Opportunities in Indian Banking Sector", forecasts that the Indian banking sector will grow at a healthy compound annual growth rate (CAGR) of around 23.3 per cent till 2011. I The Monetary Authority of Singapore (MAS) has provided qualified full banking (QFB) privileges to ICICI for its branch operations in Singapore. Currently, only SBI has the QFB privileges in country. Standard Chartered Bank in India reported a profit of above US$ 1 billion for the first time. The bank had the profit before tax (PAT) of US$ 1.06 billion in the year, 2009 as compared to US$ 891 million in 2008. Punjab National Bank (PNB) has planned to expand its international operations by foraying into Indonesia and South Africa. The bank is planning to increase the share in the international business operations to 7 % in the next three years.